Rainer Maria spent nearly two years writing and touring to create this transitory third album. After mastering the interplay between girl/boy vocals, A Better Version of Me saw Kaia Fischer concentrating more on guitar while Caithlin de Marrais became the primary lyricist. 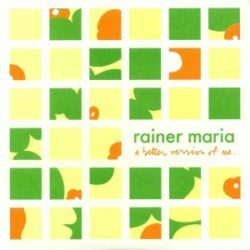 With A Better Version of Me, Rainer Maria completed a dramatic arc that no one had realized was forming over the course of the previous two albums. Refusing to be pigeon-holed as “couples rock,” the band consciously wrote the album as a sound of solitudes circling one another, just as the poet Rilke described.